Police now believe a single man is responsible for recording more than 1,000 illegal videos in Dallas-area public restrooms. 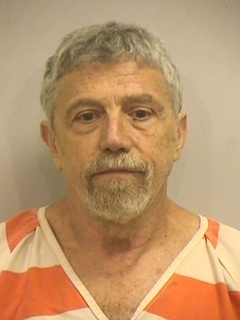 Andrew Crawford Boden, 65, was initially arrested in June on just one charge of improper photography after Grapevine police found a hidden camera in the restrooms at Braum's Ice Cream on Main Street. Irving police later found a pair of hidden cameras in the restrooms at Corner Bakery on North MacArthur Boulevard, which were also tied to Boden. According to Irving police spokesperson James McLellan, officers have been combing through Boden's computer files since August to determine what other charges to bring against him. McLellan says Grapevine police executed the search warrant and discovered "upwards of 1,000 videos" from different locations across Dallas-Fort Worth. In addition to Braum's and Corner Bakery, McLellan says there were a number of establishments they could not identify specifically. He estimates hundreds of people were victims of these crimes, though only a handful have been contacted and agreed to press charges. "We anticipate filing several new cases here in the near future," McLellan says, adding that the charges will be fast-tracked to a grand jury for possible indictment. "There was a considerable delay because we have been slogging through all this computer equipment." For now, Boden remains free on a $5,000 bond from the June charges. Each count of improper photography carries a two-year jail term and a $10,000 fine.